Gain Insights into Staff Performance. Transaction Analysis allows you to monitor the register activities of your staff members for any timeframe, at any selection of sites you choose. Want to see which clerk in your enterprise is performing the highest number of voided transactions? How about which clerk is logging the highest number of upsells and promotions? 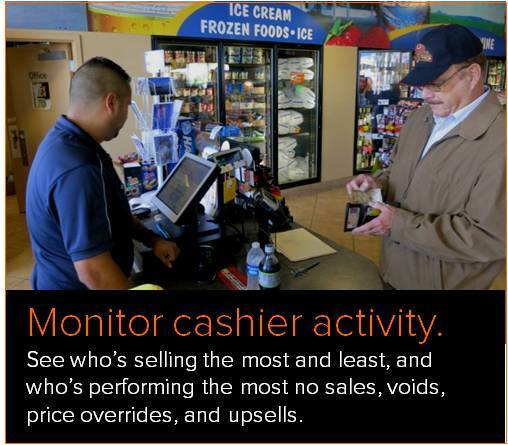 Or, you might just want to see which cashier is ringing up the most transactions. All of this data is available with the Cashier Stats module in Transaction Analysis. In the screenshot below, the user has simply selected nineteen sites, a month long timeframe, and clicked Submit. The results are a sortable, hyperlinked table that facilitates further investigation. With Transaction Analysis, identifying the strongest and weakest links in your workforce is only a few clicks away.